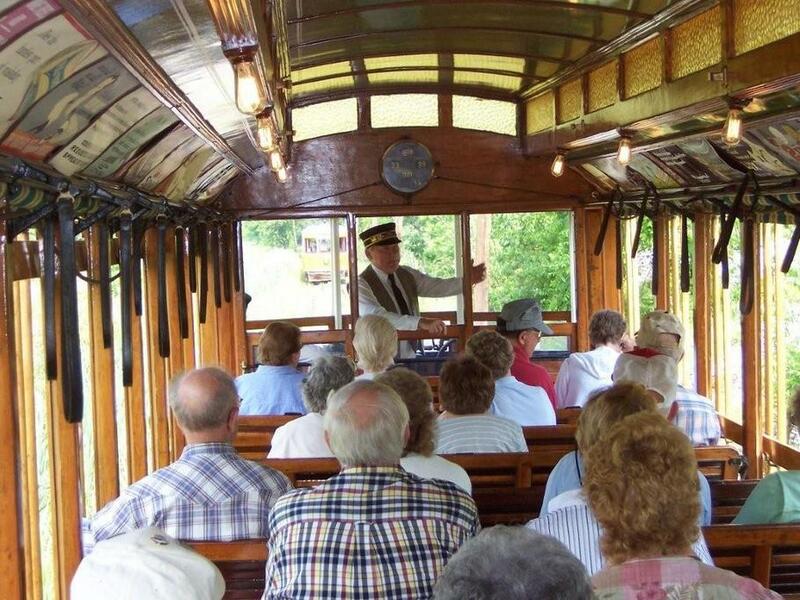 Rockhill Trolley Museum welcomes your bus tour, school group, birthday party, or other group for rides on our demonstration railroad, tours of our restoration shops and the chance to browse our museum store for souvenirs, books, snacks, and information about trolleys from many areas of Pennsylvania. Near Cummins Road, a motorman gives a brief talk on the history of the Rockhill Iron Company as the trolley car pauses next to the most visible of its remains. Off-hour weekday and off-season group visits are possible, but advance arrangements must be made and may require a deposit and/or minimum charge of $300. Payment must be made upon arrival at the Museum.